Set of 2 small sachets filled with dried French lavender. 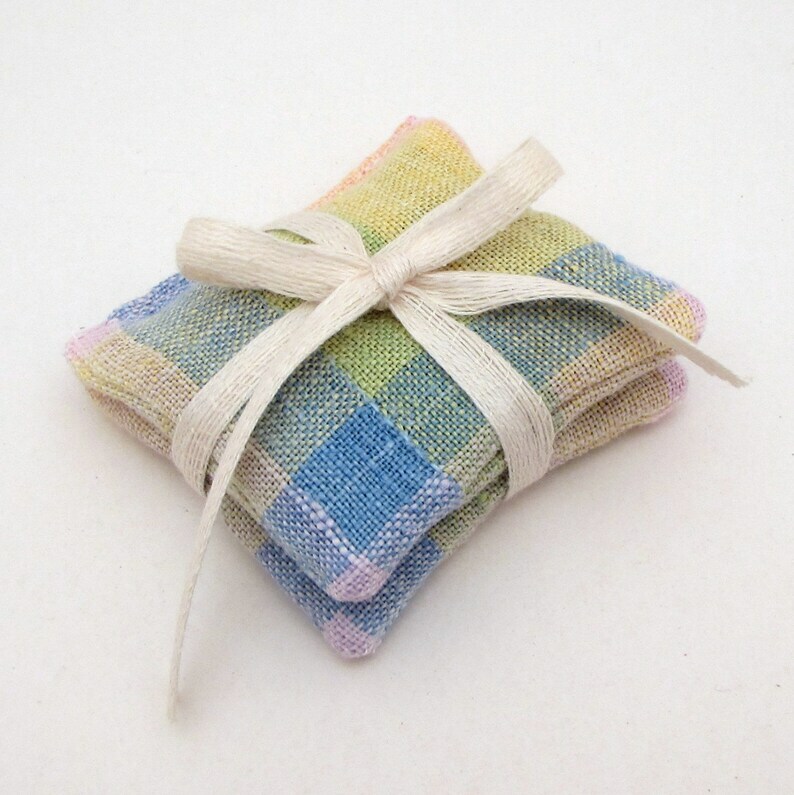 These are made from a vintage linen tea towel, woven with this beautiful rainbow plaid design. Perfect for your farmhouse laundry room! You will receive the 2 sachets pictured here.